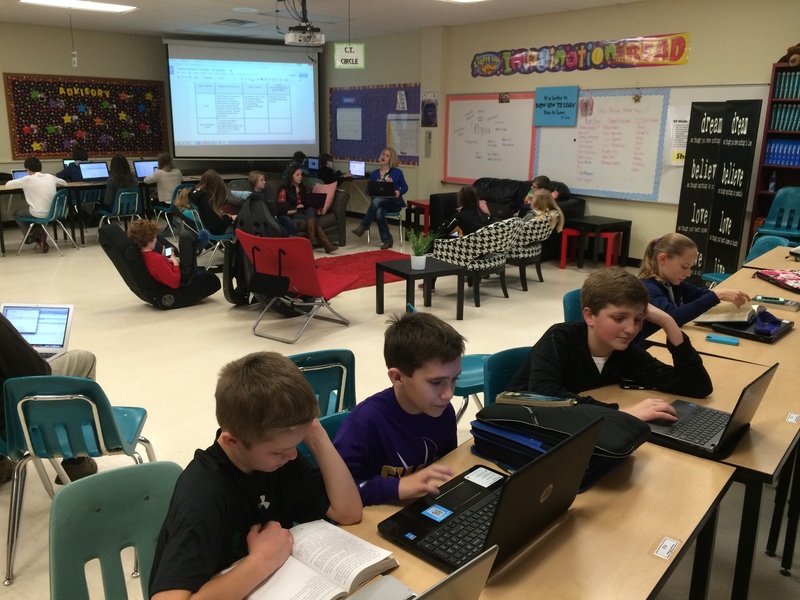 Our high school in Harrisburg, SD, under the direction of Dr. Kevin Lein, has embarked on a journey of customized learning for our students the past two years. Most schools approach this from the elementary level and move up. Dr. Lein has decided to start at the top and work down. His concept of using a modular schedule came from visits with Omaha Westside in Nebraska and several school in Maine. Maine also influenced his drive for a customized learning model with the assistance of our state technology group, TIE. My view of this model of education has been influenced by several people and entities. First, I wholeheartedly agree with Eric Sheninger’s push to move away from the Industrialization model of education. This is outdated and does not fit all the students that enter our building. 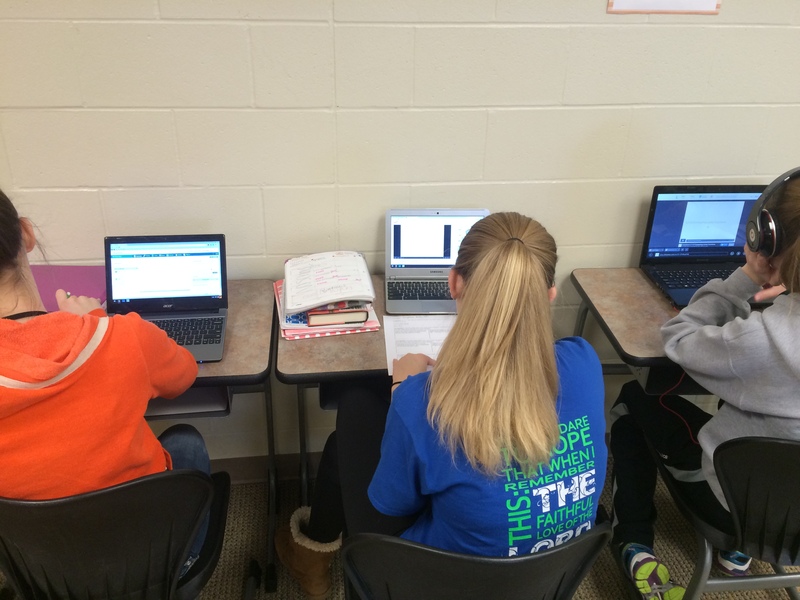 They are digital learners, moving at differing paces in their educational life. Second, Dr. Lein’s passion to drive a customized model for students has been relentless. The forward thinking approach fostered by him is contagious. 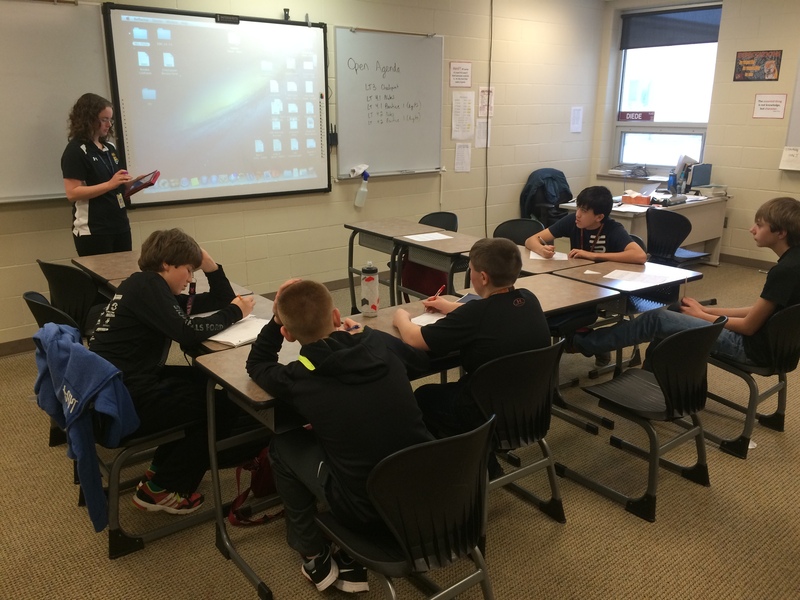 Third, South Middle School has created a relationship with Pioneer Ridge Middle School (PRMS) in Chaska, MN. Their Personalized Learning Coach, Mary Perrine, has developed a foundation for personalized learning for her school. Our staff has made three visits to view their Adventures program, and it has been rewarding every visit. To hear their students describe their learning is amazing. They speak about assessments, choice, and owning their learning. Listening to their mature answers, you are amazed that these are sixth graders being interviewed. PRMS began with a small group of teachers willing to take a risk on a paradigm shift. Mary Perrine has led an organized charge beginning with staff professional development. 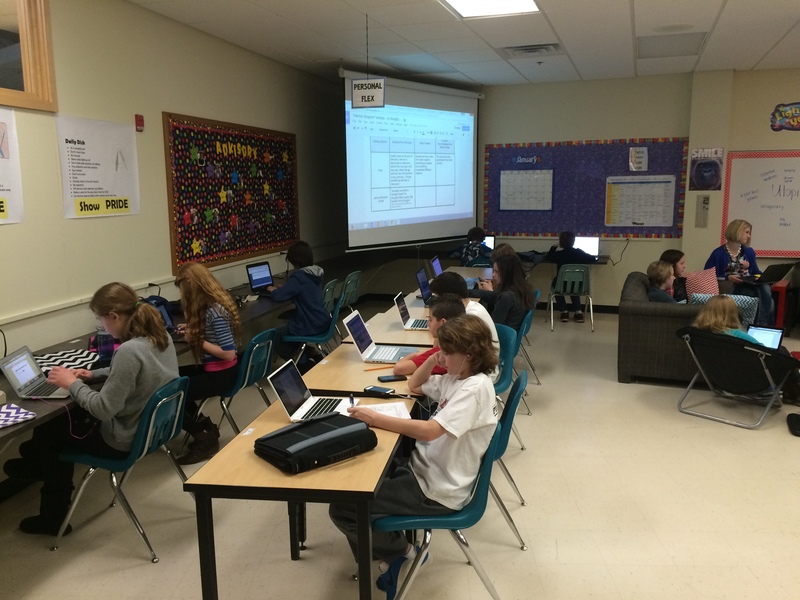 Students begin their day by scheduling their Adventures classes, which include ELA, Science and Social Studies. Even though they are in the early stages of personalized learning, Mary and her staff have set a solid foundation for growth into this model. Our move at South MS from a culture of learned helplessness to student accountability will include a form of personalized learning. One of the great attributes we can give students is to develop them into responsible learners. At this time we have a few teachers who are changing their instruction to reflect a seminar/workshop/personal flex model similar to PRMS. Mrs. Diede provides her Math students choice in a traditional 43 minute period. Students are at their own pace, but she still provides a seminar for instruction if requested (picture 1). Other students have the opportunity to complete work or pace ahead. As mentioned earlier, a strong foundation and plan is needed for this type of change – Transformational Change. In a recent article on the topic of transformational change was discussed from the perspective of the business world. It suggests that transformational change requires a “portfolio of initiatives, which are interdependent or intersecting.” The article continues with this fabulous comment, “More importantly, the overall goal of transformation is not just to execute a defined change — but to reinvent the organization and discover a new or revised business model based on a vision for the future.” How does this correlate to personalized learning? The better question is how doesn’t it fit the immense change in our educational culture and history of delivering instruction to students? Aligning initiatives that work together for a common end, reinventing the system, discovery of new models, and a vision for who this will affect. In our world the ‘who’ are our students. If we truly believe that personalized learning will benefit our students, then throw your effort and passion to this change. Because change is not easy for our stakeholders, you have to withstand the kickbacks/arguments against it and believe in the value for our students. I would love to hear your stories of personalized learning and read any resources you might share. Transformational change begins with one but needs passionate colleagues for sustainability. Here’s a toast to Risk – Love It! Ashkenas, Ron. “We Still Don’t Know the Difference Between Change and Transformation.” Harvard Business Review. N.p., n.d. Web. 21 Jan. 2015. <http://linkis.com/hbr.org/2015/01/NRQJU>. This entry was posted in Uncategorized and tagged Dr. Lein, Eric Sheninger, Mary Perrine, personalized learning, Risk, TIE, transformational change on January 21, 2015 by darrenellwein.